In what could become the next American tradition, President Trump has decided to kick-off Pride Month by giving one queer child a lifetime pardon from his administration’s bigotry. 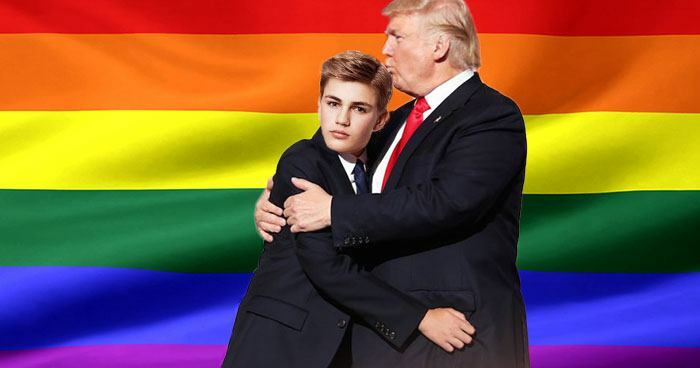 Early Thursday morning, Trump named fourteen-year-old Garrison Whitmore the lucky kid who will be protected from the homophobia flaring anew in the United States. Starting with day one of his presidency, Trump has been criticized by LGBTQ advocates for his discriminatory policies. From appointing an openly-homophobic Cabinet to erasing all mentions of LGBTQ from the White House and State Department website, many say that Trump has made America less safe for queer people. When asked how this pardon will be implemented, Trump struggled to explain. “Well, people will just know he’s pardoned, you know? And will be nice to him, treat him normal, I guess, instead of like a weirdo.” In response to being asked why he doesn’t just pass laws to ensure universal equal treatment, Trump had no comment. What Trump perhaps saw as an act of goodwill has been viewed by most people as a display of ignorance. LGBTQ advocates have been quick to clarify that this new tradition will be absolutely meaningless.